I've been helping new business startups for some time now, normally these are people who normally have no experience in using digital techniques and are interested in setting up websites for their business. These workshops have sometimes been a couple of days long, so you can bet that you develop a lot of material to fill those two days. So I thought I would repost some of that content here over the coming weeks. Lots of this will be light touch, so no great depth to the information but in itself still useful. If there are gaps then let me know. We all know, that these days it's important to create an effective online presence for your business but often it can be difficult to know where to start. Through using these guides we are hopefully giving you help along the road to success. Websites, like your business, come from an idea - you've had an idea for your business and now your are going to need website to help you communicate what it is that you are doing. Whether it is to help people find your business so they can buy through your website using some ecommerce package or simply so that they can view your site, your previous work and decide to contact you because of it. This simple idea needs to be communicated to your potential customers through your website. Being able to communicate your business on paper means once you have transferred this information onto your website your customers will understand what it is that you are selling. These are useful questions to answer even before you start building your website. Really do spend some time pinning down what it is that your website is about, what is it trying to communicate. It saves a great deal of time in the long run if you think these through thoroughly. Content Management systems These days most websites utilize a Content Management systems "
A content management system, or CMS, is a web application designed to make it easy for non-technical users to add, edit and manage a website. Not only do content management systems help website users with content editing, they also take care of a lot of "behind the scenes" work." Websites that use content management systems store the website content such as text, links to images, etc in a database. So as a website visitor calls up a website by entering the domain name, the CMS calls or pulls the content from the database and displays it in their browser. So CMS websites pages load the content from the database into the browser - this does take a bit more processing power from your server. If you are creating a self hosted website then chances are you are going to utilise one of these to create your website. In terms of ease of use I would rate them like this. WordPress is the most popular of these content management systems and around 22% of new websites are created using WordPress these days. You'll be able to read through our guides here to help you get set up with WordPress. Our example here uses Control Panel, your hosting may not look the same but it will function in a very similar way. NB: You will need to have your domain name preconnected to your hosting before you will be able to create an email address. From the image you can see that Control Panel has a section dedicated to Mail. And to create an email address you will click on Email accounts as shown below. On the next screen you will need to fill in the fields available. Do pick really tough passwords and if need be for now write them down in a secure place. If you have gone for a self hosted website on a shared server then you will need to become familiar with Control Panel often referred to Cpanel. Cpanel is a piece of software that is pre installed on your server and it gives you access to functionality that you can take advantage of. 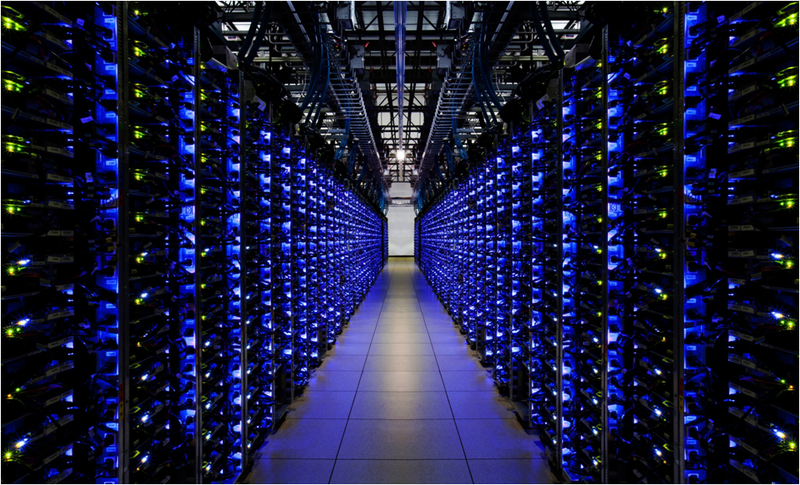 On a Shared Server there are lots of other people who have access to the physical machine, the computer on which your website is hosted. They are able to access their control panel to manage their hosting. 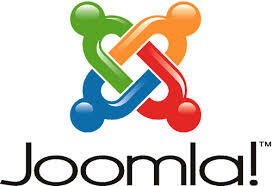 So in the same way the control panel that you access allows you to control your web hosting. There are many different types of hosting and the type of hosting is really determined what it is that you want and how much control do you need. Before we talk about hosting I should say that 99 times out of 100 simple shared hosting will be enough if you are creating a new website for your business. 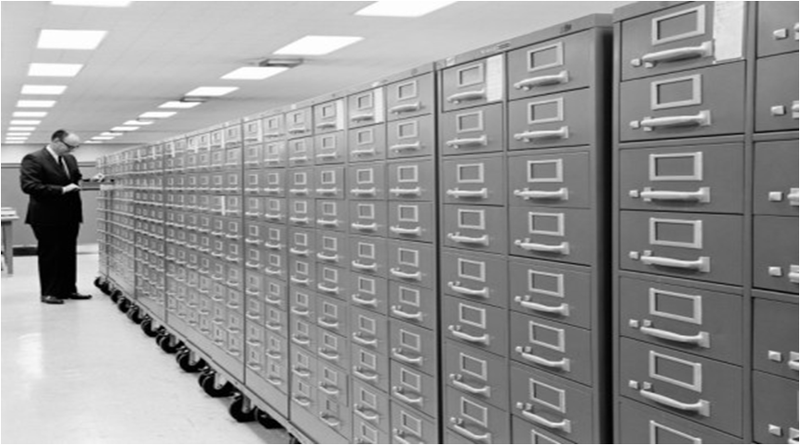 Image Above: In the old days this is how websites were stored, on cards in big filing cabinets. The computers on which you hosts your website are just normal computers, well maybe not normal but very similar to a top price desktop you might have at home, except thinner, more powerful and mounted into vertical racks. Like your home PC, a hosting pc has similar software on it. This software is Linux software especially set up to run the computer as a hosting machine. Now, one hosting machine might be being used exclusively just by one person or company for their web needs or it might be being used as shared hosting; which is where several people have accounts on the one machine. The hosting computer can be set up accomodate 100's of accounts depending on the size of the hard disk and the power of the machine. 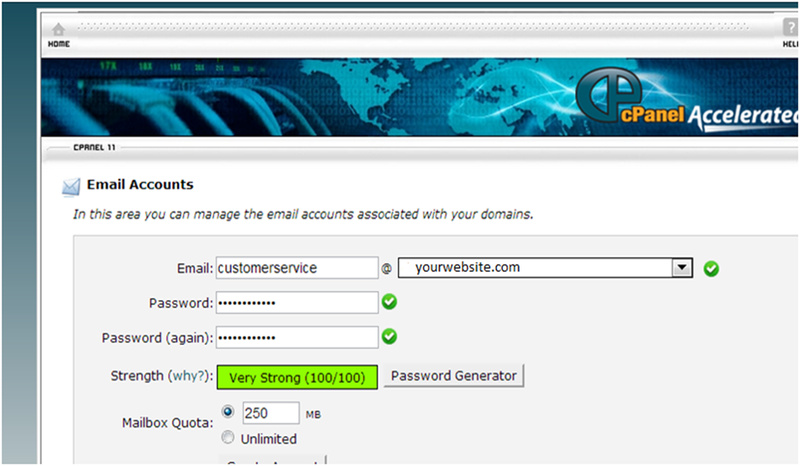 Each account has special software called Cpanel, which is short for Control Panel and this software allows each account owner to set up websites and emails. 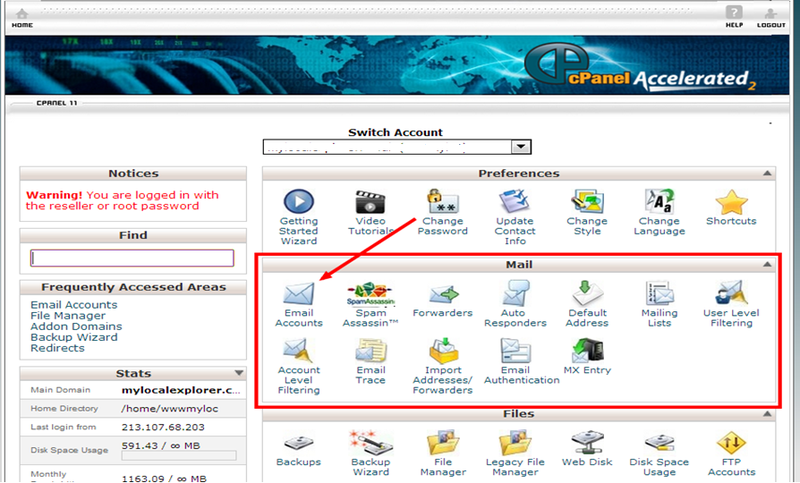 Cpanel has all sort of functionality which we look at in different sections. Domain names are all important to you and your business, whichever domain name you choose will probably be the one that you will stick with for all of your business days. So it is very important that you choose the right one for you and your business. The domain name is the name that someone would type into the browser window to find your site. So this one is defnetmedia.com and people wishing to visit this site would type that into their browser window. Keep your domain it simple so it is easy to remember. This may mean you simply name your website after your business. Many of you may well choose to use your own name or your business name depending on what you want the name to be, whatever you decide upon do seek advice from your friends or family to gain their opinions. Once you have decided on say two or three domain names. The next thing to do is to go online and put into Google “purchasing a domain name” this will return a number of search results. You can use anyone of these sites to search for the domain that you are looking to register. You may find that your favorite domain has already been registered by someone else so you will have to move on to your second choice. Each domain registrar will offer you a different deal and different price. Typical prices: A .com site costs more than a .co.uk and if you are planning on only operating in the UK – then a .co.uk should be sufficient for you and your business. With uk2.net when I looked it was 5.38 plus VAT for two years on a .co.uk site and for one year it was 6.99 for a .com plus VAT, so small savings but a saving never the less. Any domain name you purchase is renewable normally for around the same price you purchased it for. 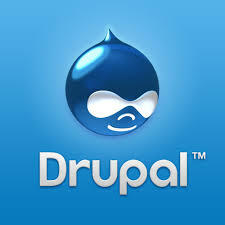 Once you have chosen your domain and completed your registration, which will include filling in your credit card details to pay for the domain you will receive a registration email, which will include your username and password for the Domain registration site along with details of the domains Named Servers which you will need at the next stage. It wouldn't be the first time that I have heard this, and many people who attend my workshops already have websites for their businesses. These are often free and promise to be simple to create. There is an upsurge in people creating sites with Wix for instance, and these sites can look and feel great. But and there are lots of buts with Wix. In the interests of research I created a simple Wix site - Compared to some, Wix does have a really simple interface for creating your site. This is just the footer area of the site I created, choosing from a range of template sites for all sorts of industries. These can look clean and crisp. 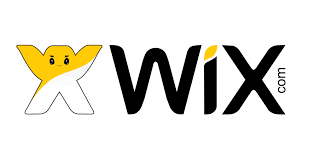 The issue that many have with Wix is simply that although it is Free as soon as you want a little extra then you have to start paying - So a client told me of how as soon as they had x number of products on their site they had to start paying extra for more products. And the truth is if you host your own website using WordPress then Yes you are paying for your hosting and domain name but you can create a great site and have to pay no extra at all. Self hosted WordPress sites leave you much more in control. You can use free tools to help you create booking systems, stores, payments .... all sorts with WordPress. 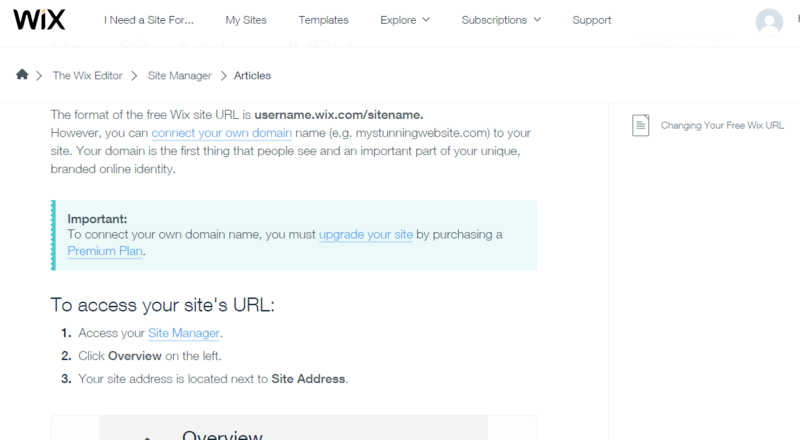 NOTICE HERE: If I wanted to use my own url/domain name then I would have to pay wix extra! There are loads of other free sites builders out there including Weebly and Square Space sadly I can't comment on them here as I have never used them.